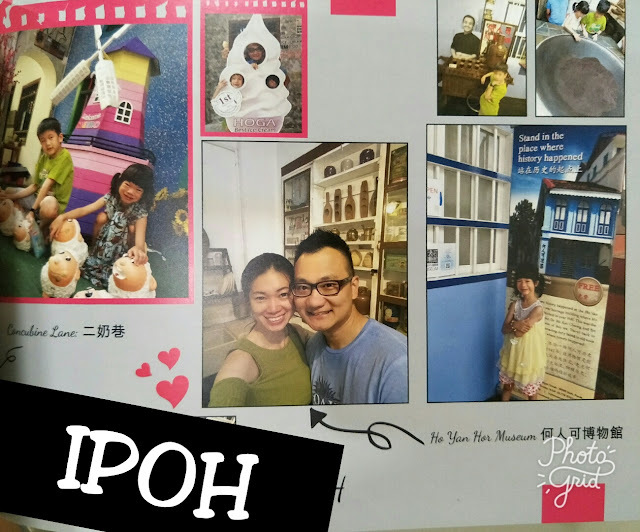 Home Travel Review We touched down Ipoh and check out our findings! We touched down Ipoh and check out our findings! 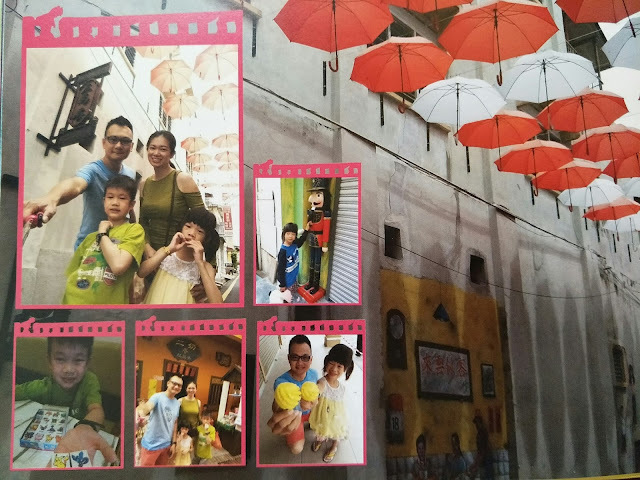 We had the best photo taken in Concubine Lane and this is one of my favorite page in my photobook. Travel within Malaysia is fun too. Jaden manage to get a box of pikachu and friends eraser from here. Super cheap for a box. There are shop selling mini harmonica, selfie sticks, Handmade dream catcher, souvenir and many more. If you are food lover, indulge yourself with tea ice cream, sweet pineapple or a bowl of ABC dessert on a hot day. The lane is not very long but enough for you to get the feel of old street. It gets a bit congested if you go during public holiday or weekend. Travelling to Ipoh has been real convenient now with ETS. Do book early online too secure your seat. We took the ride at KL Sebtral. Best is Uber is very convenient in Ipoh to get you around town when you are sick of driving in KL. Haha. That's what we did. Download the apps, save our time finding places and arrived at the place without need to worry on parking spots. This time I tag the whole family for a weekend trip. It's a spontaneous one as mummy is craving for the salted bake chicken. 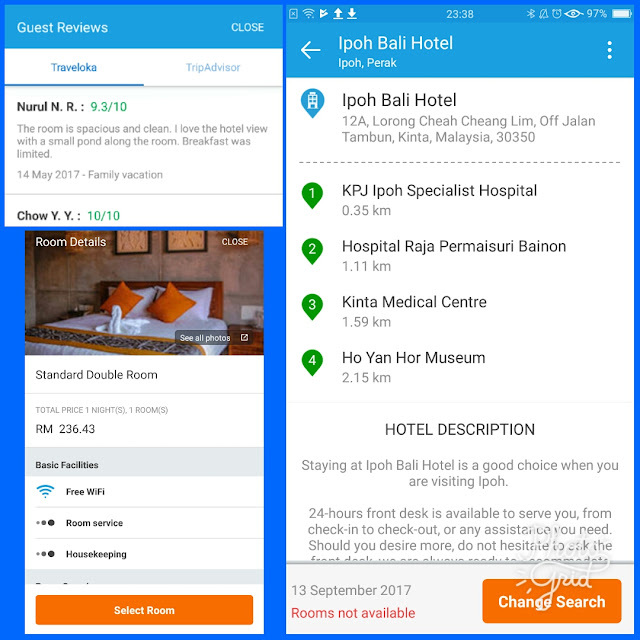 I had a simple itinerary but it's always good to check out a few hotel and book in advance. 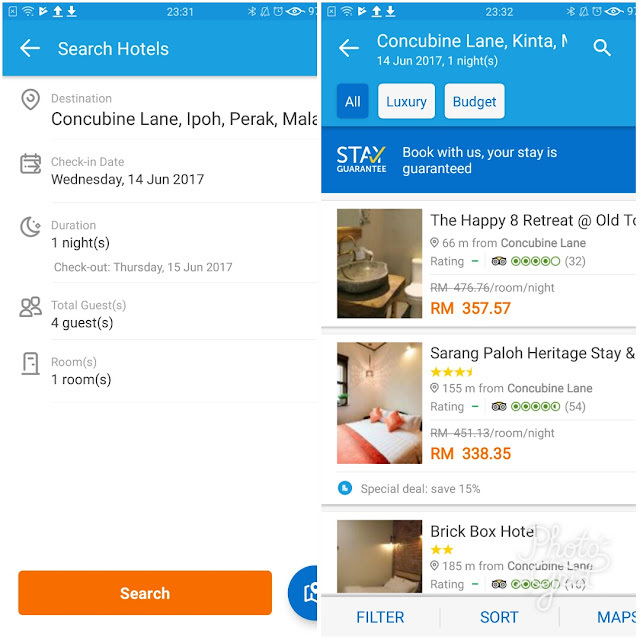 You wouldn't want to check every hotel in every corner of Ipoh and knowing its fully book when you have 2 kids traveling with you. Let's not take the risk. Plus, you save time when you reach the destination, instead of asking around where is the best place to stay, and asking question like how is the facilities, any breakfast, is the hotel that good, does they have a good service etc etc. Technology and apps helps us a lot to reduce the back work that need to be done. I am a mummy who wants to plan ahead and one of the site that I check and book hotel from is the new "Traveloka". 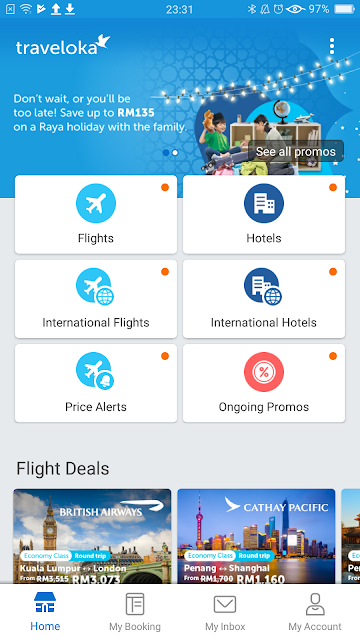 They have a simple application and easy to browse web which allows you to check the hotel available near the places of interest which you may want to visit. From Traveloka I could check hotel near to Concubine Lane. I could find whether it's OK within a good review 8 and above. Savvy mum like me love discounts too. Book early could get us better hotel option. 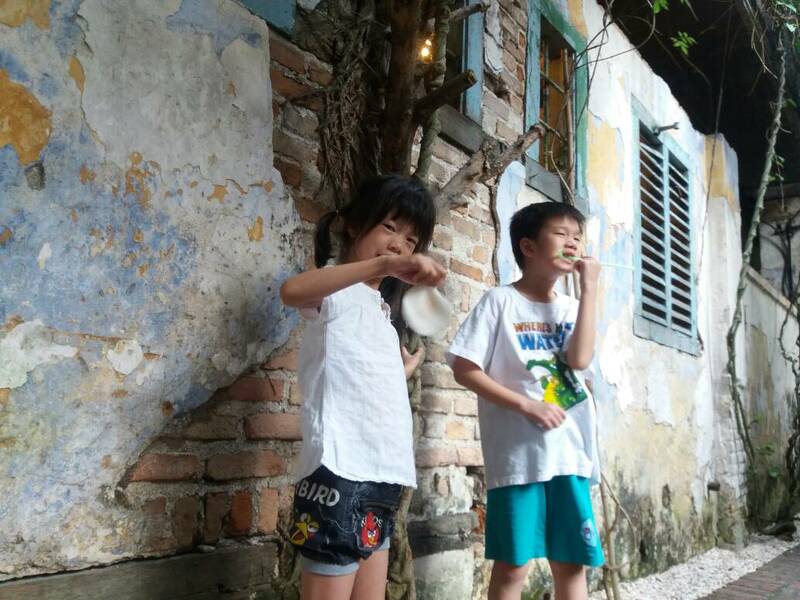 You can find old kichen utilities and cabinet, antique bicycle, even the old laundry board for the perfect picture moment. 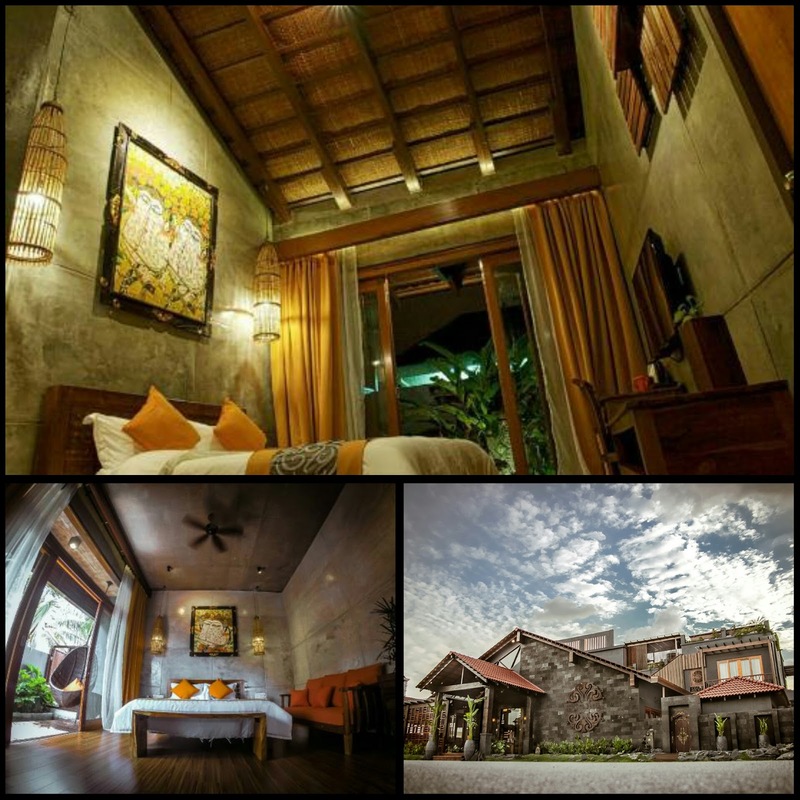 If you like Ho Yan Hor museum, I do suggest Ipoh Bali Hotel. Didn't manage to book this as they don't have a quad room to fit four of us. I tell hubby we would check this out when we are in Ipoh if we have a chance for a couple night out. 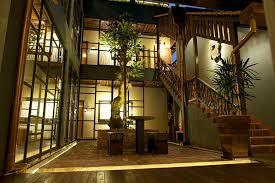 Check out Ipoh Bali Hotel tasteful interior. 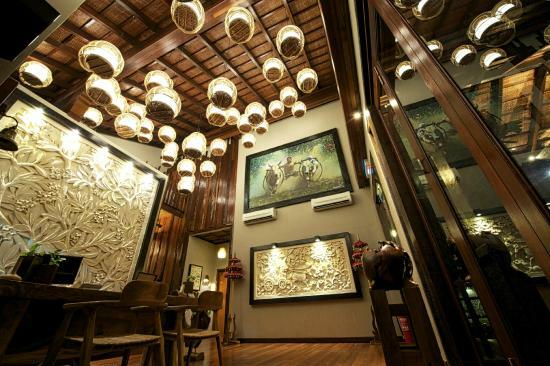 The design ala Bali style is so romantic and reminds me of my Bali trip back in 2004. The wooden finishing gives a total feeling of back to nature and relaxing. Look at the lighting and setup of the room! 652, Jalan King, Taman Hoover, Ipoh. Easier if you take Uber to this place as not many parking around the area during peak period. 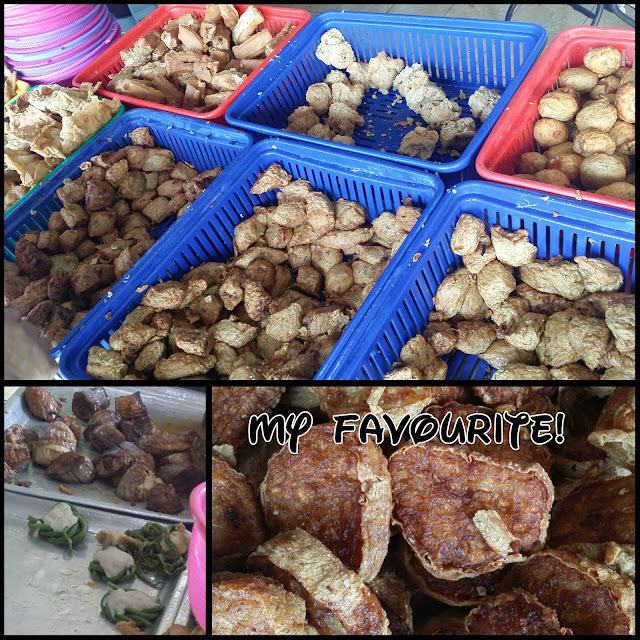 The bean curd skin with sengkuang- (I think) filling is my favourite. I can find it here and other noodle coffee shop only in Ipoh. 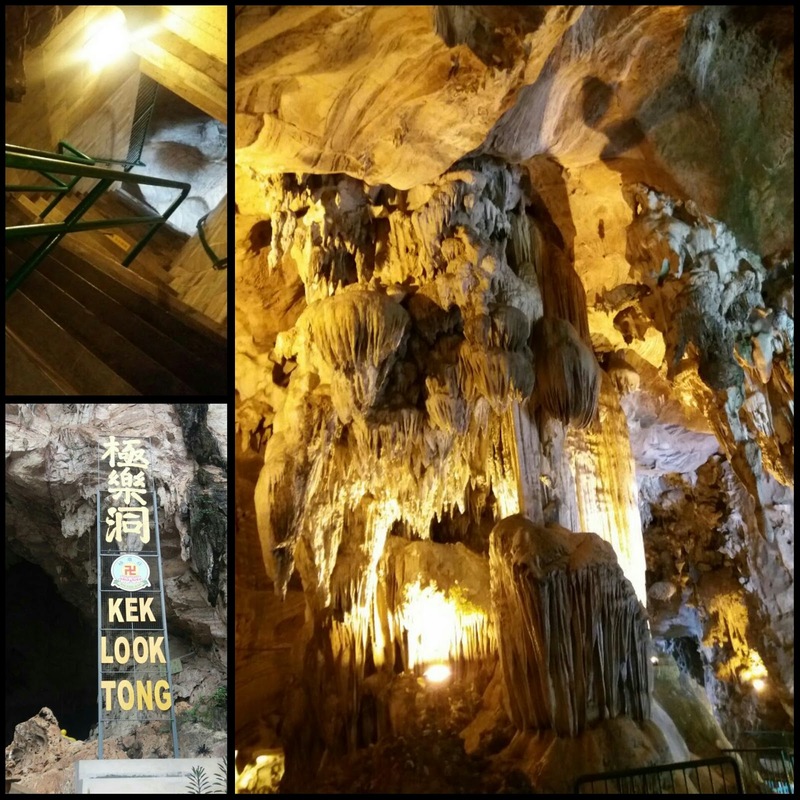 If you have time to go around, do visit Kek Lok Tong. There are a nice park and the cave is cooling and lovely with lighting that lit up the ambiance. Just need to be careful of the steep stairs if you have younger children. There is also a PlanB restaurant in town and we found an art lane nearby- great for photography. Yay...definitely will revisited Ipoh...till we meet again.